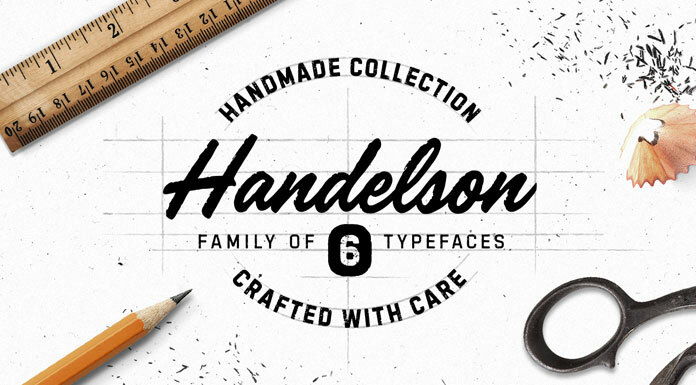 Handelson, a font collection of 6 handmade typefaces created by Mika Melvas. If you like natural handmade typefaces, you will probably love Mika Melvas’ Handelson font collection. The Finnish type designer has created this set of 6 hand-drawn fonts in 2016. The collection consists of 3 script styles, 1 non-connected script, and 2 (all caps) sans serifs. With lots of organic textures and rough edges, each handmade typeface is based on an authentic look and feel. All the different styles work pretty well together. 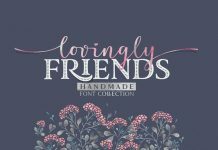 You can combine them to create stylish logos or titles in a friendly, handwritten or printed look. Get further information below the first image or click on the following link. 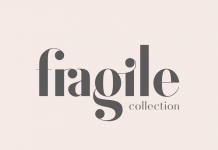 You can purchase the full collection on MyFonts. 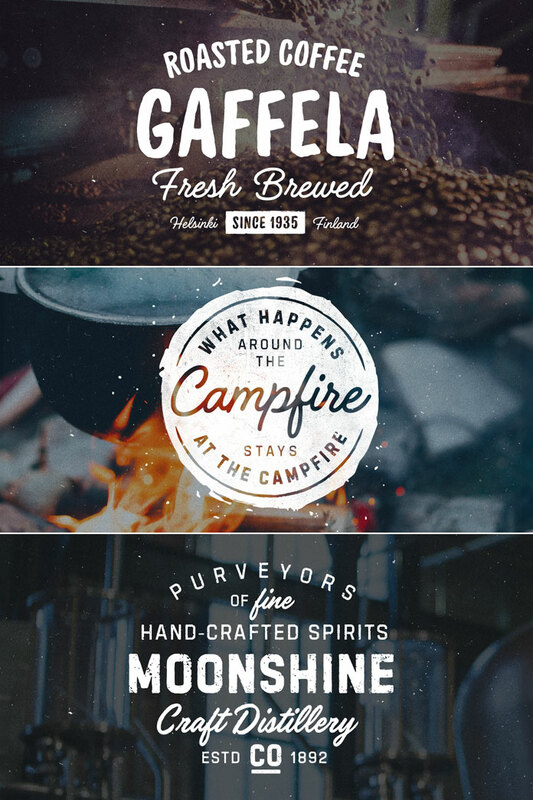 Handelson font collection by Mika Melvas. 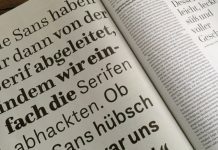 The set consists of 6 handmade typefaces including 3 handwritten script fonts as well as 1 non-connected script and 2 (all caps) sans serif styles. Especially the combination of these handwritten scripts with the sturdy sans serif versions gives your typographic work a natural feel. In addition, you can enable contextual alternates in your OpenType panel to make your lettering even more versatile. 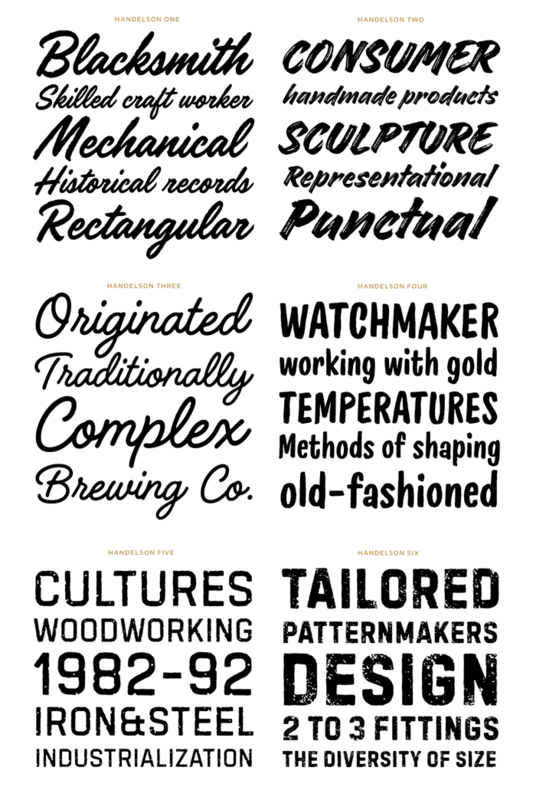 The full collection is currently available as introductory offer on MyFonts. So do not wait too long! 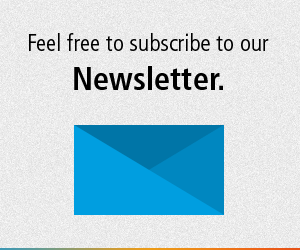 For additional information on all included features, feel free and follow the link below. You can get this set on MyFonts. 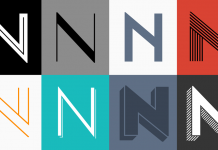 Handelson, a collection of 6 handmade typefaces. 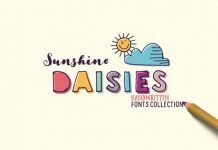 You can use these hand-drawn fonts to create stylish logos or monograms. This authentic look and feel works great for a variety of typographic applications. Here you can see some samples of all 6 hand-drawn fonts. Its diverse styles range from handwritten brush textures to sturdy geometric letters. 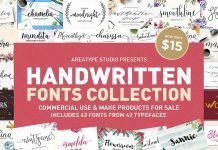 Be quick and get this introductory offer on MyFonts. Are you looking for more fonts? 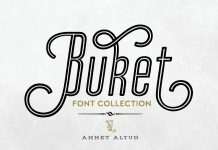 Do not hesitate and check out our Fonts category. We show you some of the best typefaces for multi purpose. 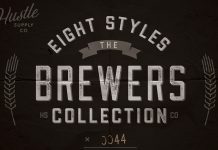 Brewers Font Collection from Hustle Supply Co. 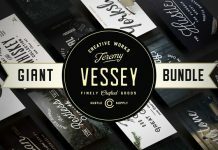 Giant Font Bundle from Hustle Supply Co.